Energy efficiency and demand response continue to be at the top of California’s energy “loading order” for statewide planning. By continuing to reduce consumption, especially at times of pressure on the state utility grid, California avoids the need to build new power plants or operate existing plants with the highest carbon emissions. Building on the campus-wide LED streetlight retrofit completed in 2016, Cal Poly replaced exterior lighting on 11 residence halls with LED, reducing energy consumption by nearly 50 percent while improving light quality and safety. Mott Gymnasium received an LED upgrade that reduced energy use significantly while bringing light levels up to NCAA standards for televised games and creating an amazing fan experience. The University Union underwent a building-wide LED lighting redesign that transformed the look of one of the busiest locations on campus. 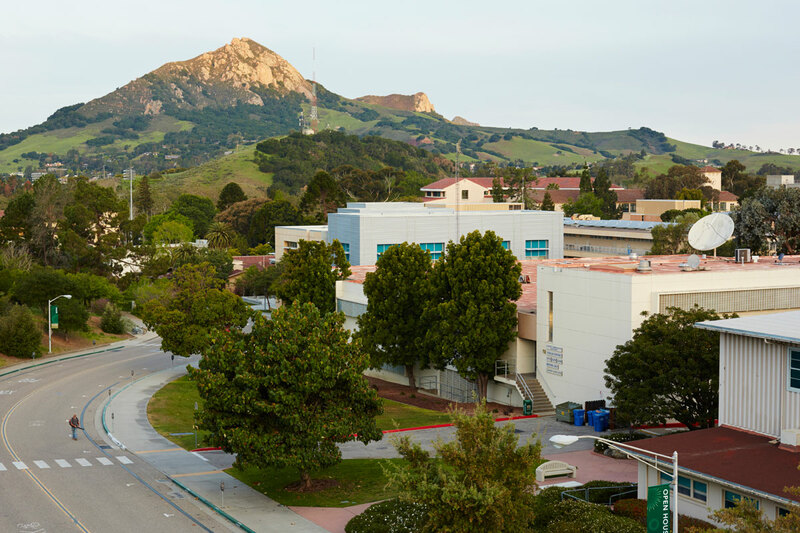 With receipt of $1,600,000 in funding from the Chancellor’s Office, Cal Poly is planning a major upgrade to LED exterior lighting across the campus in the next year, and will retrofit hot water pumping systems to variable flow in numerous buildings. With the adoption of “big data” computing analytics through its new Energy Information System, Cal Poly is deploying automated fault detection and diagnostics to work toward continuous commissioning and optimization of central plants and building HVAC systems. The first phase of this project will focus the technology on some of Cal Poly’s biggest energy users—lab buildings and an aging HVAC infrastructure. The SkySpark based EcoVox software solution that came out on top of a CSU system-wide solicitation was developed by Cal Poly Mechanical Engineering graduates and is being deployed on 18 of the 23 CSU campuses. Through a new partnership with Amazon Web Services, Cal Poly is moving its aging data center to the cloud to take advantage of state-of-the-art computing horsepower and cyber security, while significantly reducing the energy and environmental footprint of a critical business and academic function. The partnership also creates the Cal Poly Digital Transformation Hub—the world’s first university-based cloud innovation center to accelerate digital transformation in government, education, and nonprofit sectors. Cal Poly is required by CSU Executive Order 987 to participate in a summer electrical demand response program. During periods of unusually high temperatures, the state's electrical grid can run short of supply. When this happens, the California Independent System Operator (Cal ISO) calls utility operators to increase supply by firing up less efficient and higher polluting "peaking plants", while at the same time activating statewide utility demand response programs to reduce consumption. Cal Poly is able to curtail up to 1 MW of electrical use during times of peak load on the state grid. Cal Poly was called upon 16 times in the 2015 season, reducing campus load by an average of 720 kW, or 12% of peak demand. 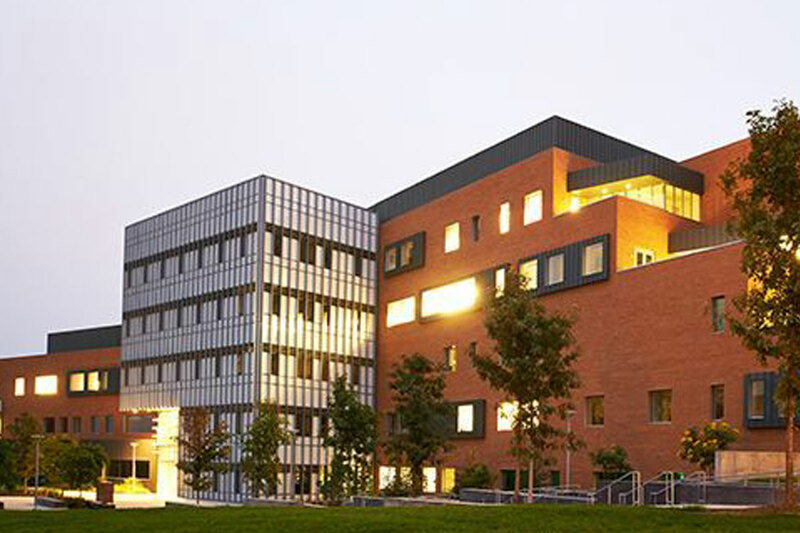 When Cal Poly is called to curtail load, Facilities Management and Development activates an automated program in the campus' building automation system. This will shut down various air conditioning and ventilation systems that have been identified as non-critical loads. Shut down non-critical computing equipment including printers, copiers, scanners, etc. For current status of the California electrical grid, click here. The state’s electrical grid must develop significantly more energy storage infrastructure to balance intermittent solar and wind energy generation with demand. Until then, Cal Poly is participating in a new utility program that incentivizes customers with on-site energy storage capabilities or dispatchable loads, such as water pumping, to automate operation of these systems during times of excess renewable supply. Combined with a new Demand Response program, this initiative is expected to result in over $100,000 per year in savings.